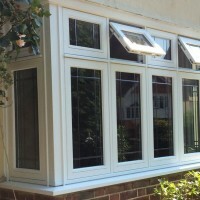 Looking for fabulous replacement windows in Putney? Are you looking for reliable and professional window fitters in Putney or East Putney? Perhaps you are thinking about installing stunning bi-folding doors? 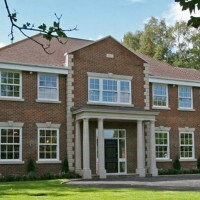 Or maybe you are looking for advice on aluminium or timber windows and the best choice for your property? Whatever your windows and doors requirements, the team at Merton Windows will have an option for you. We have transformed thousands of properties in the area with new windows and have built a reputation for exceptional service, attention to detail and unrivalled choice of choice, colour and style. Whether you know exactly which windows you would like, or need to be guided through the options available, our team are on hand to advise you every step of the way. Our window fitters always minimise disruption and treat your property with respect and care. We will work closely with you to ensure you get the windows and doors that you have been dreaming of. The job will be finished on time and at the right price. We have decades’ of experience in the glazing industry and can offer free, impartial advice. We are known for our attention to detail. We are members of Fensa and registered with the Consumer Protection Association and Checkatrade.com, where you can check out our reviews. All our products are guaranteed for 10 years so in the unlikely event there is a problem, they will be replaced for free. So whether you are after uPVC windows, triple glazing, bifold doors or a beautiful new conservatory, call us on 0208 542 2233 or send us an email at [email protected] and we will call you back. Located by the river in South West London, Putney has plenty of stunning architecture, plenty of green spaces and excellent schools, making it the perfect place for families. In terms of property, it boasts stunning Victorian, Georgian and Edwardian houses, 1930s mansion flats and post-war flats. We have suitable windows for a huge range of properties, so if you are after replacement windows and doors, we can help. Triple glazing: Triple glazing will not only make your property more energy efficient and save you money but will reduce any unwanted noise by a significant amount. Read more. uPVC windows: Unplasticized polyvinyl chloride, a rigid form of PVC is a hugely popular material for windows because of its thermal efficiency, pleasing aesthetics, weather resistance and enhanced security features. 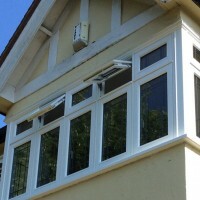 Installing new uPVC products into your home will save you money and increase the value of your home. Read more. 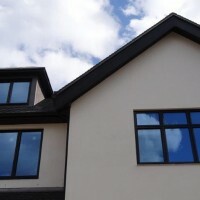 Aluminium windows: Aluminium is also a popular choice because of its durability and low maintenance. Read more. Timber windows: Timber is an excellent option for some homeowners due to its elegant and traditional appearance and innate durability. Read more. Sash windows: Our sash windows come in a huge range of design options, combining all modern features with an elegant look. Read more. To find out more about our services or high quality products, call us on 0208 542 2233 or complete the form on our contact page. For all your replacement windows in Putney, make Merton Windows your number one choice.